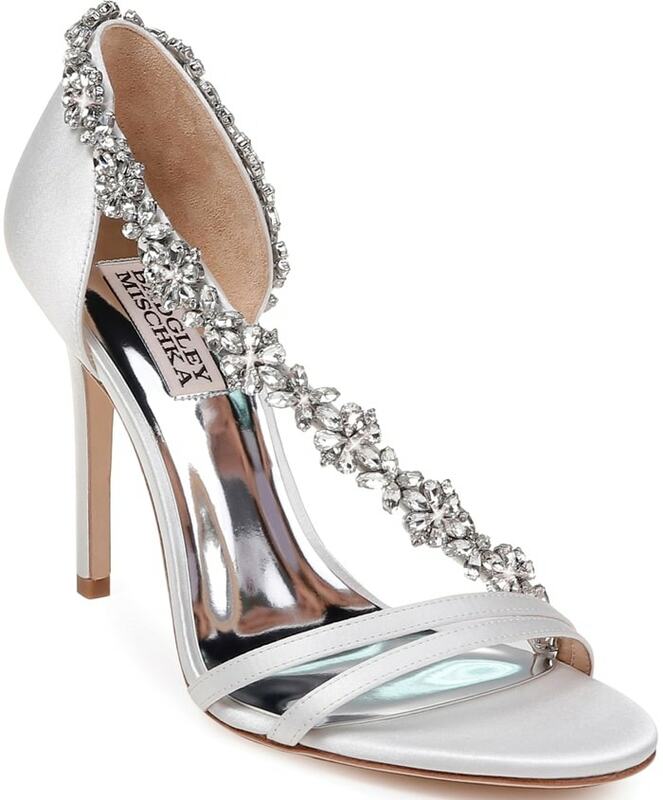 We love Badgley Mischka‘s new crystal embellished evening shoe featuring an asymmetrical strap. You can purchase this special occasion sandal in black satin, latte-colored satin, and soft white satin, at Nordstrom and Shopbop. An eye-catching array of faceted crystals traces a sparkling path across the open vamp and around the heel of a striking satin sandal lifted by a towering stiletto.